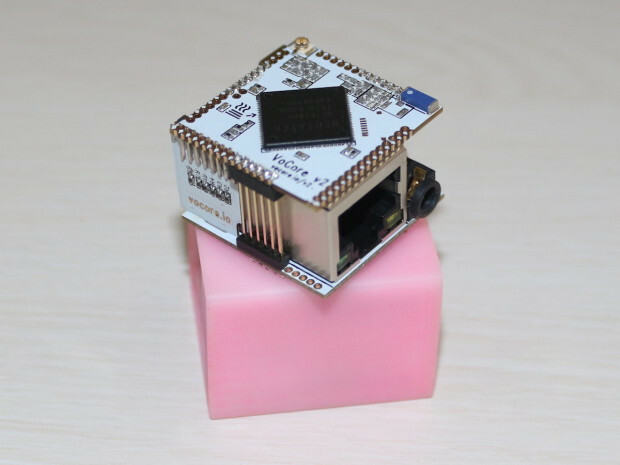 Vocore WiFi IoT board was popular at its launch in 2014 because affordable WiFi boards with I/Os were not common at the time, and it came with an Ethernet dock making it a complete router within a tiny and cute cube. The developers have been working on VoCore2 (aka Vocore V2) with a faster processor, more memory, a lower power consumption, a better WiFi signal, and more I/Os for several months, and have now launched the board on Indiegogo aiming to raise at least $6,000 for mass production. Power Supply – Input: 3.6~6.0V; output: 1.8V, 3.3V. 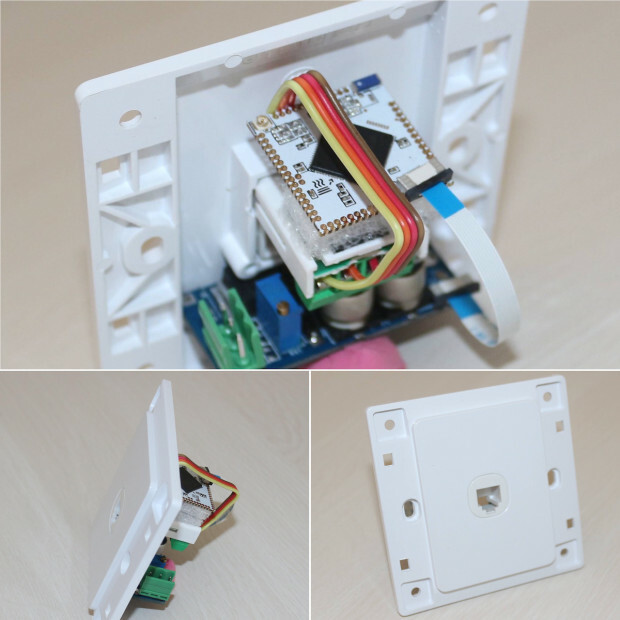 Some extra details about the docks, and some earlier firmware release would have been nice to have, but I could not find this information on their Indiegogo page. VoCore2 module starts at $12 (Early bird), Vocore2 + Airplay or PoE dock goes for $29, and you’d have to pledge $39 for Vocore2 with Ultimate dock (and case?). Bundle rewards are also available with 5 pieces for each kit. Shipping is not included but only adds $3 to $10 depending on the selected reward, and delivery is scheduled for November 2016 for most rewards, except PoE rewards which should be shipped later in January 2017. Thanks. I will grab one to play with.